If you have any additional questions regarding registration, give us a call in our school office at (520) 466-2214. We look forward to getting to know you and your child. 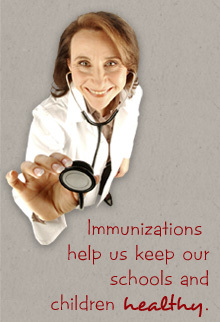 We follow Arizona’s state law mandates for childhood immunizations. The law states that all students enrolled in school must be current on their shots. This helps us keep our schools and children healthy and prevents an outbreak of many types of diseases. Please be aware that if a school outbreak occurs and your child has not received vaccinations, we will not allow him or her to attend school until the outbreak is over.